My undergraduate degree was in Psychology. In high school, no one, not my counselor or none of my English teachers, told me that I could actually major in English or creative writing. I wrote constantly throughout middle school and high school. I discovered creative writing programs existed long after I graduated from college and wanted to enter into one. My main reason for entering a creative writing program was to enter the professional writing community. Yes, I had freelanced for various newspapers and magazines, but I did not think of myself as a professional writer. After enrolling in the creative writing program at Otis College, I learned why professional writing workshops are important. Before the program, I edited my work and would look over drafts countless times before submitting my work to literary journals and magazines. I never understood why I did not hear back from them. After entering the program, I realized my problem (well several of them). Punctuation, lack of moving my writing into a more poetic realm, and my characters did not have a beating heart. Now that I have completed the Writing Workshop at Otis and have created new material, I have craved sitting in a new writing workshop. 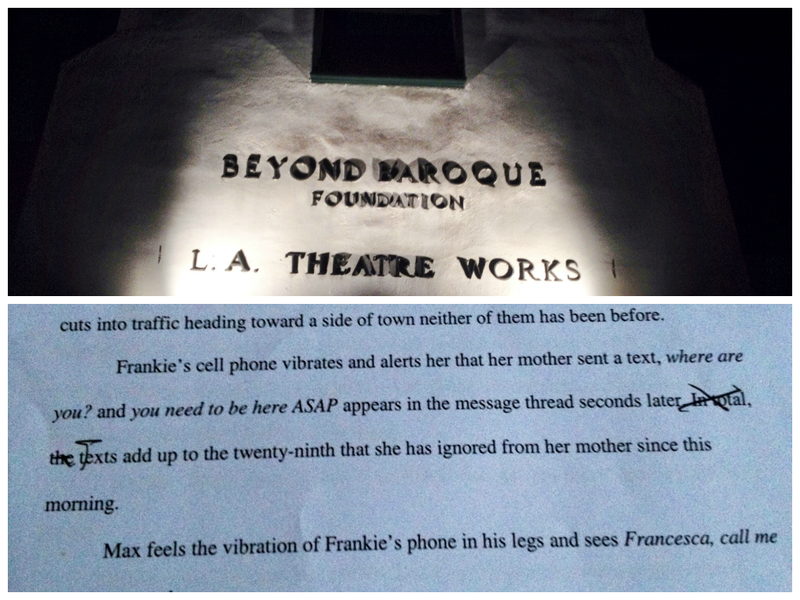 I discovered the fiction workshop at Beyond Baroque and took copies of my new short story, “White Justice” there. I was worried my piece would not get read, but it was and the workshop leader echoed all the comments that my workshop leaders at Otis have told me – I have the tendency to over-describe and add unnecessary words. I’m not sure if that will ever leave me, but I know I’m going back to Beyond Baroque.